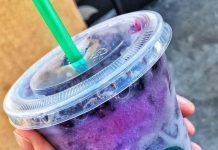 Continuing with the trend of mythical characters, we have the Mermaid Frappuccino breaking out onto the social media scene. 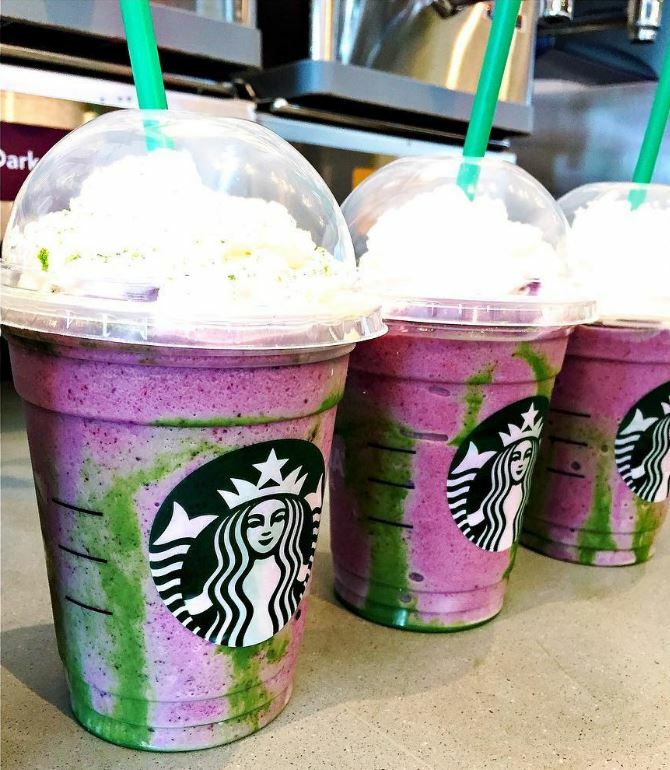 The newest addition to the magic themed Frappuccinos seems quite fitting for the brand considering that Starbucks earliest logo was of a twin tailed mermaid or siren. 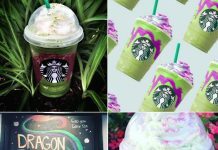 Like its fiery counterpart, the Dragon Frappuccino, the Mermaid Frappuccino is made from ingredients regularly found at all Starbucks locations making it available year round. 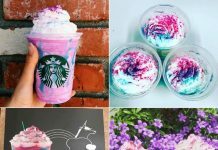 So unlike the limited edition Unicorn Frappuccino, you won’t have trouble finding this one. 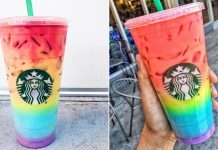 Just be sure to let your Barista know the recipe since it isn’t an official menu item. 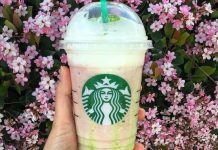 The Mermaid Frappuccino is a lovely mix of bright pink berry with green matcha drizzled around the cup. 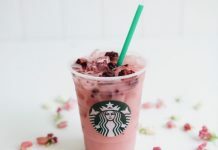 It’s sounds delicious and photographs beautifully! 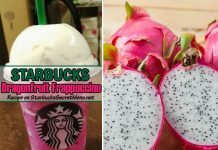 We do need to warn you that the drizzle takes time to make as it is not readily available, and not all locations will do this for you. 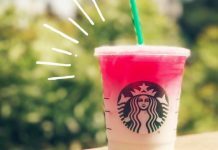 For ease of ordering the mermaid Frappuccino can also be ordered as a Pokémon Go Frappuccino without raspberry syrup. 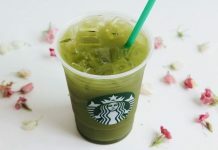 If you’re open to it, your local Starbucks may have suggestions on another method of creating the green drizzle. 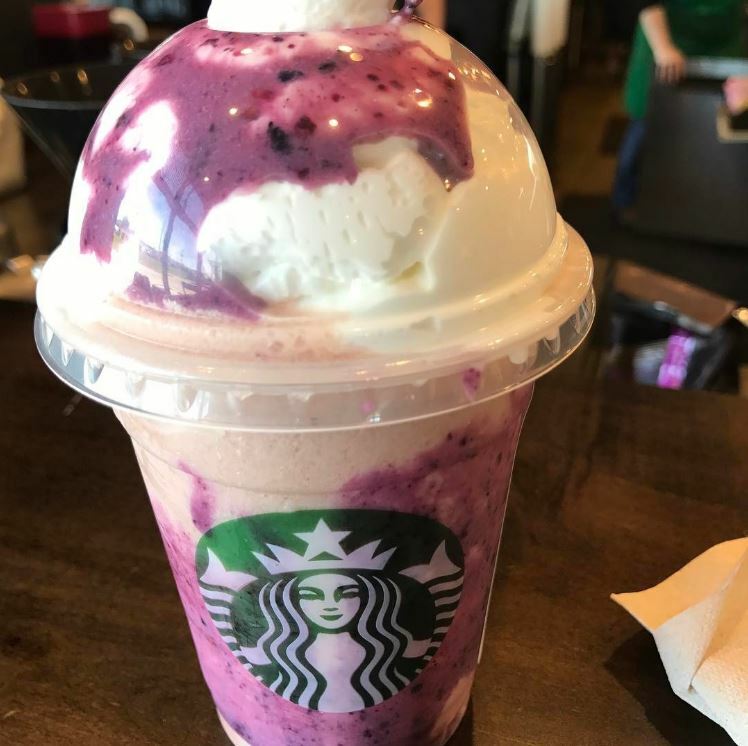 We’ve seen several locations do a purple drizzle instead of the green by adding some freeze dried blackberries to white mocha sauce, like the Dragon Frappuccino.